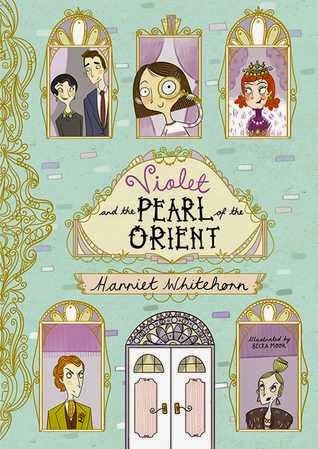 Violet and the pearl of the orient is everything I wanted from a middle grade detective adventure story. I loved every page of it and didn't want it to end. Violet is 10 years old and is shocked when her friend and neighbour's very expensive brooch is stolen and is frustrated when the police dismiss the case despite clues that Violet uncovers and presents to them. I loved Violet as a character and loved her determination and cleverness and loved following her as she worked on the case. The story itself is beautifully presented with lots of lovely illustrations to go alongside the text including maps. I do love a good map in a book. If you loved Robin Steven's Murder Most Unladylike you will adore this book too.